I say "unlimited" because for every dollar you spend you will get one back BUT it seems they fly off the shelf, so you may have to be lucky to get them! I know there are alot of you Chipotle fanatics out there! 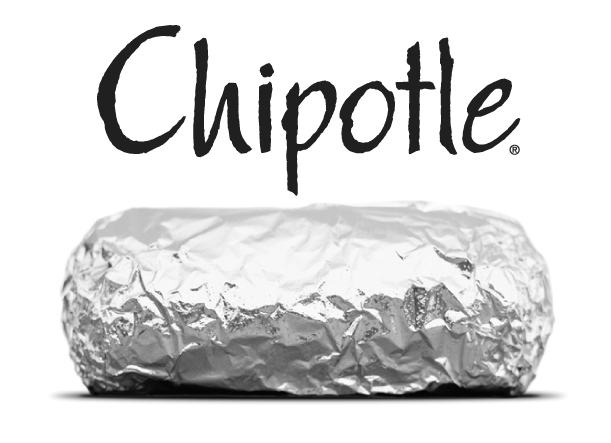 Chipotle is offering a Buy One, Get One FREE Burrito, Bowl, Salad or Tacos coupon via Facebook. Click the "Chipotle" tab for instructions on the offer. Your coupon will be offered at the end of the video. 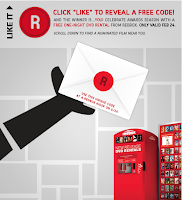 Redbox is offering a FREE movie code today via their Facebook page. Just "Like" them to reveal your very own movie code. DiscountSchoolSupply Presidents' Day Sale Extended! The Presidents’ Day Sale has been EXTENDED SIX MORE DAYS! Take an Extra 25% Off even more items!Shop the Red Sale and save an Extra 20% on everything red in Arts & Crafts! Use code WREDSALE to save. Ends March 6th! Shop Now! Parents! Sign your children up for the Chopper Kids Club! (Parents must be registered with the site for children to be signed up). In February, we are pleased to offer you a Free Kellogg's Fruit Snacks (9-10-oz.) for each child that is enrolled in the program. Already have an online profile with mypricechopper.com? Just add them here. Please note that this is a updated program. So if you have registered your children in the past, you will need to do so again in order to participate. You may also register by going to the customer service desk of one of our 49 Price Chopper Stores. Allow 4-6 weeks for processing. Head HERE for free earplugs from Hearos. YorkPhoto.com is having a President's Day sale and offering 75 prints for $.75! Use code PENNYPRINTS2011 to get this deal! The offer expires on 3/7/11. 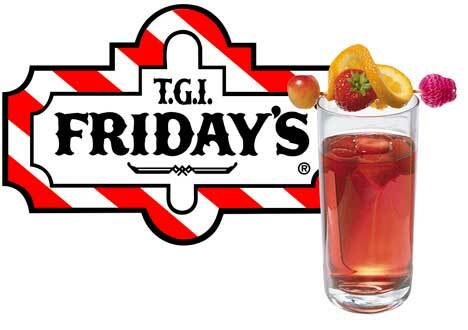 Another $5 off $15 from TGIFRIDAYS!